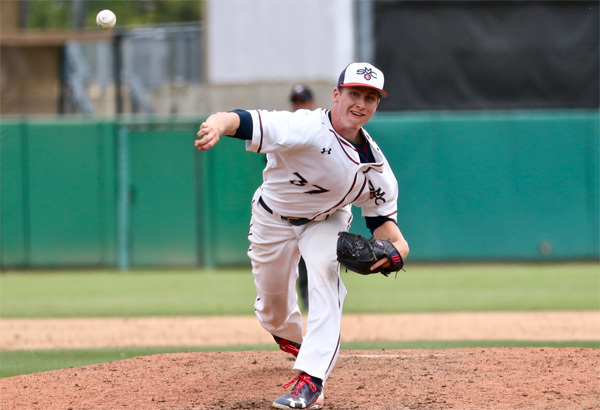 Congratulations to former Serra Little League alumnus Drew Strotman, who was drafted by the Tampa Bay Rays today in the Major League Baseball June Draft. Strotman was taken by the Rays in the 4th round, with the 109th overall selection. The 6-foot-3 right-hand pitcher Strotman posted a 4.50 ERA with 74 strikeouts and 23 walks in 66 innings for St Mary's this past season. The Sunnyvale native played for Serra through the 2008 season. The Homestead High School graduate posted a 6-3 record with a 0.54 ERA and 68 strikeouts in 64.1 innings pitched while also hitting .358 as a senior. Strotman played three seasons for St Marys.